It is the sixth century in Aksum, Africa. Young Telemakos (King Arthur’s half-Ethiopian grandson) is still recovering from his ordeal as a government spy in the far desert, trying to learn who was breaking the Emperor’s plague quarantine. 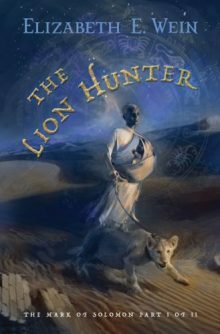 Before he is fully himself again, tragedy and menace strike, and he finds himself sent, with his baby sister, Athena, to live with Abreha, the ruler of Himyar — a longtime enemy of the Aksumites, now perhaps a friend. His aunt Goewin, Arthur’s daughter, warns him that Abreha is a man to be wary of, someone to watch carefully. Telemakos promises he will be mindful — but he does not realize that Goewin’s warnings are not enough to protect him.